The Infinity Falls raft ride at SeaWorld Orlando has reached its final height of 67 feet, the park announced Wednesday, though a specific opening date has yet to be announced. Cranes lifted the final piece of the 41-ton “whimsical” steel tower into place over the weekend. The 67-foot tower will house the ride’s elevator-like lift system. 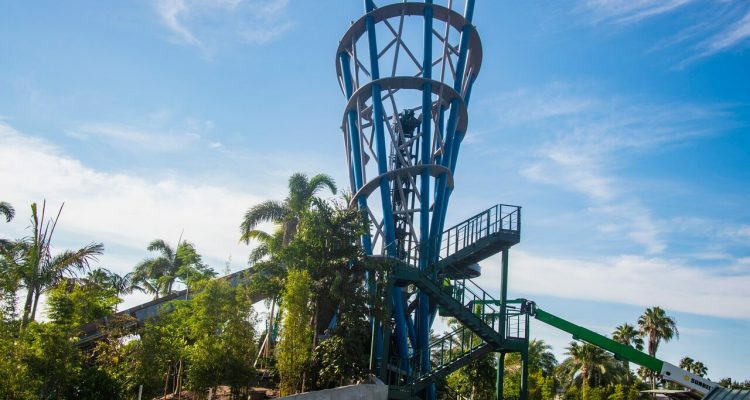 The actual drop guests will experience is 40 feet — which SeaWorld says earns Infinity Falls the title of world’s tallest river rapids attraction. Infinity Falls will anchor a new area of the park designed to look like a “basecamp” of explorers and scientists. Along with the ride, this section will feature interactive exhibits pushing SeaWorld’s message of conservation for freshwater ecosystems. A new gift shop with Infinity Falls merchandise and a dining location with new craft beer offerings are also set to be a part of this new area. With construction winding down, SeaWorld says it plans on announcing an opening date in the coming weeks. 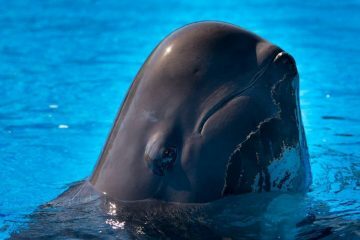 The new ride could provide a much-needed boost to the park as it looks to turn around years of attendance drops and bad press following the release of the 2013 documentary “Blackfish,” which criticized the theme park company’s use of captive orcas. 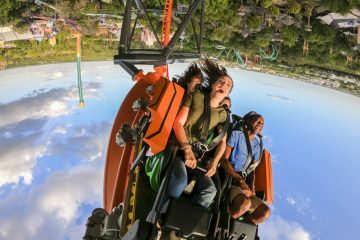 The Orlando park dropped out of the Top 10 list of most-visited theme parks in North America with another 10 percent drop in attendance in 2017. SeaWorld’s first quarter financial report, however, offered some signs that it’s making a comeback. 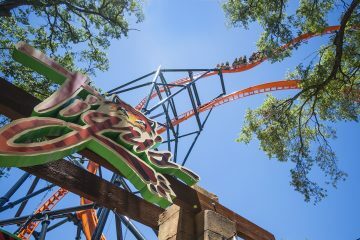 Attendance was up nearly 15 percent between January and March compared to the same period in 2017 across its parks in Orlando, San Diego and San Antonio, as well as its Busch Gardens parks.